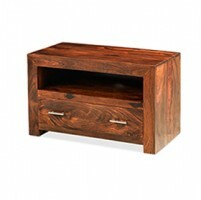 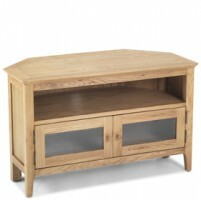 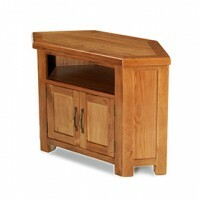 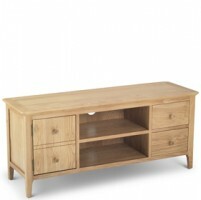 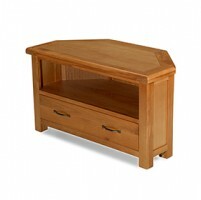 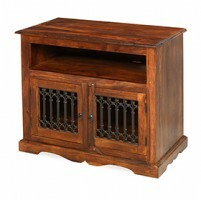 French country style meets 21st century practicality in this handsome oak stand. 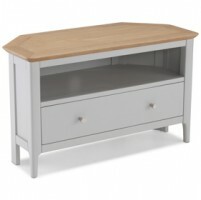 It has some lovely touches – chamfered edging, discreet peg detailing, a stepped cornice and an attractive carved plinth, not to mention the antique-style handles and grain-enhancing matt lacquer finish. 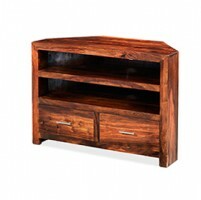 At 134cm wide, it'll hold most modern TVs and the two cupboards with removable shelves and central open compartments will take care of all your media devices and their associated paraphernalia.